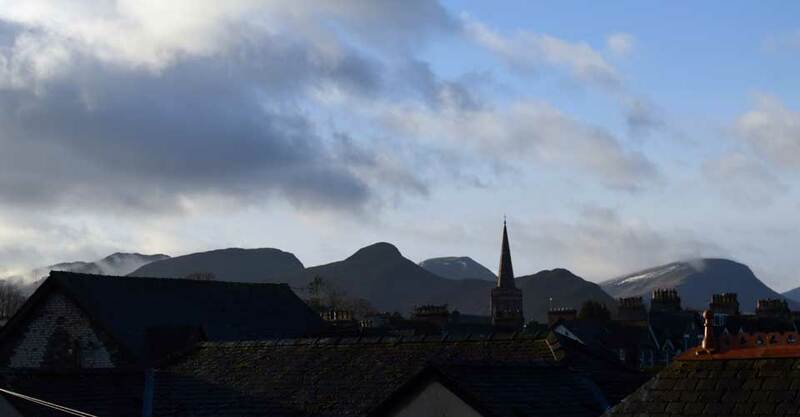 A 5-minute stroll from Keswick’s town centre, the Moot Hall Tourist Information Centre and the Market Place, Beckside Guest House provides en suite, non-smoking accommodation. 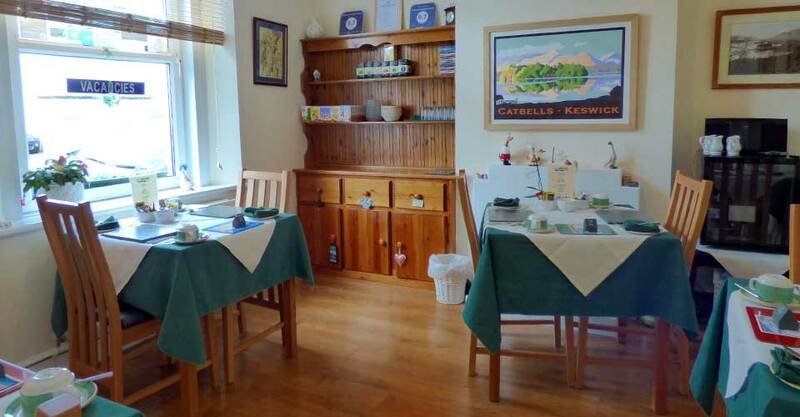 The Victorian property, built traditionally with Lakeland slate, offers a warm welcome, a comfortable place to spend the night that has free Wi-Fi and secure bike storage. Rooms are decorated in bright tones and benefit from en suite shower rooms. Each guestroom features a TV, complimentary toiletries and a hairdryer. Traditional Cumbrian breakfasts are served each morning in Beckside’s breakfast room and with a host of local pubs and restaurants available for meals throughout the day, you are never stuck for choice. 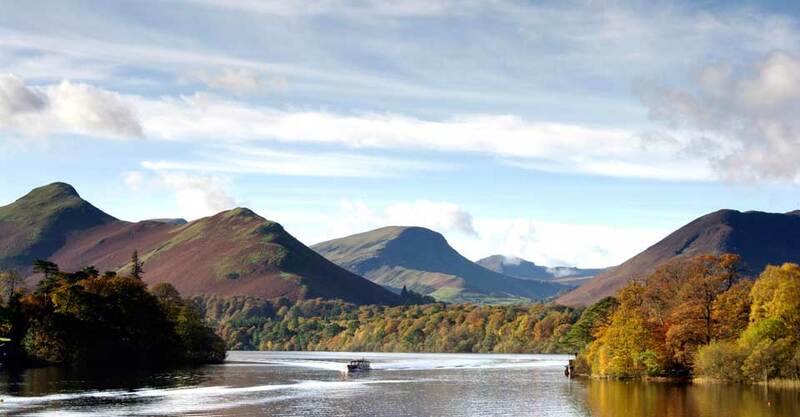 The shores of Derwentwater are less than a 15-minute walk from the property, and cyclists are less than half an hours ride from the challenging Whinlatter Pass. Popular Buttermere and the stunning Honnister Pass are a 30-minute drive away. 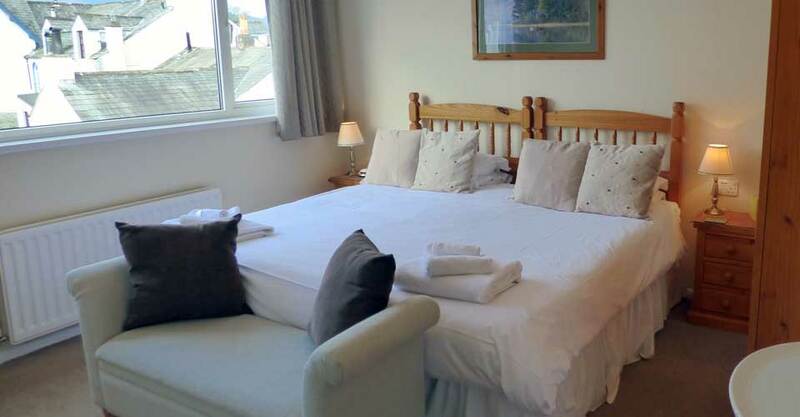 We have 4 immaculately clean, warm, comfortable en-suite rooms (3 double, 1 twin). All rooms have flat screen digital colour TV, radio/alarm, hair dryer, adjustable heating controls, full double glazing and tea/coffee making facilities. Good choice of delicious breakfasts – Traditional English, Vegetarian or Continental. High standard of cleanliness & comfort. Free WiFi in all bedrooms. A convenient stop on the C2C cycle route, offering cycle storage. Free, local unrestricted on-street parking. We will do all that we can to help make your stay comfortable. We have prepared an Access Statement which can be accessed by this link. Feel free to call us for a chat if you have any questions.